How Much Money do RNs Make? Are Registered Nurses in Demand? One of the greatest aspects of nursing as a profession is the ability to work in many types of environments and in many different roles. It is a field which is constantly evolving. Registered Nurses (RNs) can work bedside with the sickest patients or opt to care for those who are mostly well. 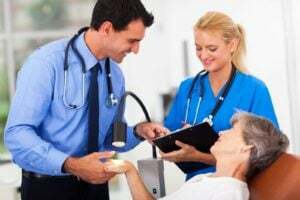 They can work directly with patients or indirectly by collaborating with the interdisciplinary team or others involved in healthcare to help patients. For every individual temperament and personality exists a nursing specialty. The pace of a working environment can be fast and full of adrenaline, or a slower pace with lots of time to spend bonding with patients and families, or somewhere in between. RNs can have a great amount of pressure to do everything perfectly and quickly with extremely high stakes or may work in an environment that is more relaxed with basically "well" patients who want to chit-chat while they wait for their physician's appointment. RNs can work with every age and population from very sick premature newborns to the elderly at the end of life from school children to adults who are undergoing elective plastic surgery. The options are nearly endless. 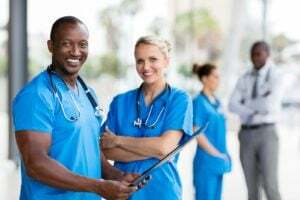 RNs have the option of working in hospitals, long-term care facilities, clinics, physician's offices, prisons, from home, as a traveling nurse in hospitals across the country, and in many other specialty roles. Read more to see if a nursing career is right for you. And, as the political healthcare environment continues to grow and evolve, RNs are finding that the options are growing quickly. 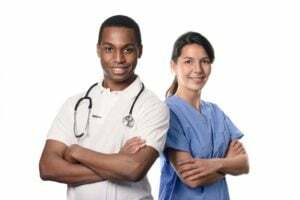 There are specialties and niches for nurses of all education levels, from ADN and BSN educated RNs, to graduate degree-level nurses and nurse practitioners, and beyond. The nursing specialty options for RNs are many and they just keep growing! See our glossary of nursing abbreviations and terms and entry level nursing careers. Nurses work in many different areas of healthcare and the roles often vary within each environment. All of them basically can be differentiated by either direct or indirect patient care areas. The RN works "at bedside" in collaboration with the interdisciplinary team and his/her primary role is to work "hands-on" with a patient. This RN works "hand-on" with patients. The RN works in collaboration with the Bedside Nurse and interdisciplinary team to support the care of patients. This RN may not be as "hands on" as a direct patient care RN. According to the US Bureau of Labor Statistics the 2017 median salary for a RN was $70,000. However, the 5 highest paying States in the US pay fluctuates between $86,220 - $102,450. Many factors affect the salary of a RN. These include location, experience, specialty, certifications and education. The State in which the RN lives will affect salary greatly. The top 5 highest paid States or Territories in May 2017 were Hawaii, California, Oregon, Washign DC, and Alaska. Experience in nursing is irreplaceable. 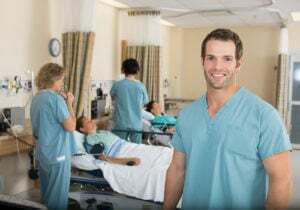 Usually the most widely accepted experience for employers is as a direct patient care RN, or Bedside RN, at least at the beginning of the RNs career. It is essential the New Graduate RN get at least 1 year of Bedside experience. I'll caveat this statement by saying that there are always some exceptions! But, for the most part, this is true even for RNs who wish to work in indirect patient care roles. Therefore, finishing school and getting that first Bedside RN job as fast as possible is the best way to improve lifetime earning potential. And besides, working closely with patients in a Bedside RN capacity is why most nurses chose the profession! Specialties with the highest need and skill set tend to pay more and be in higher demand. It is not a coincidence that the US Bureau of Labor and Statistics ranked the highest paying RN healthcare environment as "General Medical and Surgical Hospital." Employment is expected to grow by 15% from 2016 to 2026. This is well above the national average for all occupations of 7%. Driving factors for this include the aging population, changing political environments regarding insurance coverage, RNs reaching the retirement age, or RNs changing careers both within nursing or leaving the field. Research available RN jobs and learn more about the nationwide nursing shortage. 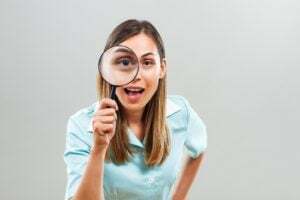 This tool will allow you to easily search and compare the average salaries of nurses for many cities and locations across the U.S. You can search by city and state. Salary data is provided through the BLS. Ambulatory care nurses provide high quality nursing care in an outpatient setting. 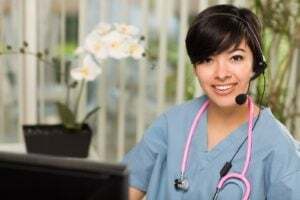 This type of nurse may work in a clinic, medical office, university health center, government institution or other healthcare settings where patients are not required to stay overnight. They perform a variety of tasks including assessing symptoms, providing care for injury or illness, taking vital signs, and any number of general nursing duties for patients. Burn care nurses care for patients who have suffered physical wounds as a result of burns. This includes the immediate stabilization of acutely burned patients, cleaning and dressing of burn wounds and assisting in pain management and rehabilitation. Burn care nurses, who often work in the ICU or Burn Care Units (BCUs) of hospitals, also play a critical role in the assessment of a patient’s emotional and psychological wellbeing and ensure patients receive compassionate care as they recover physically and emotionally from their injuries. Camp nurses provide care to campers and staff in both residential and day camps. They often work solo or independently, so camp nurses must have excellent clinical and managerial skills. Camp nurses complete pre-camp health assessments, and treat everything from colds to bug bites to allergies. RNs with a background in pediatrics, emergency care, or trauma are best suited for this role, as providing care to children with both urgent and non-urgent medical needs is a large part of the job. 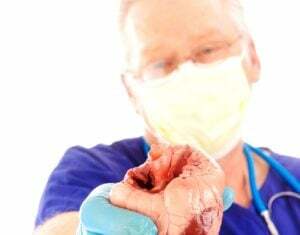 Cardiac care nurses treat patients with heart diseases or conditions. They may provide cardiac and vascular monitoring, administer medication, perform stress test evaluations, and/or help with pain management in cardiac patients. They may also tend to post-op patients recovering from bypasses, pacemaker implants, or other heart surgeries. Cardiac care nurses work in hospitals, cardiovascular centers, and other healthcare environments and work with patients of all ages. 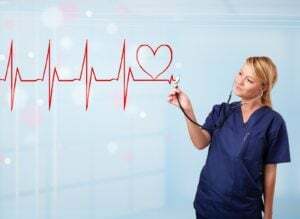 Cardiac Catheterization Lab nurses are highly qualified nurses who meet the challenges of their patient load and procedures in order to help save lives. They assist in specialized cardiac and vascular procedures like angiograms, stent placements, and heart monitoring, while informing patients and families of lifestyle, exercise and dietary changes that could prolong or improve patient outcomes. Most cath lab nurses work in hospitals and outpatient clinics and see regular patients as well as emergency cases. Nurse case managers work with patients and their medical teams to develop, coordinate and implement comprehensive medical care plans over the course of an illness. An especially rewarding field of nursing that allows RNs to develop long-term relationships with their patients, case management nurses coordinate doctors’ appointments and surgeries, educate patients and their caregivers on their treatment options and have the opportunity to work in a variety of healthcare settings, ranging from hospitals and clinics to hospice facilities and nursing homes. Charge nurses manage and supervise the staff nurses in hospital wards and busy medical facilities. They provide staff guidance, set schedules, maintain supplies, and oversee patient education and care. Charge nurses also typically treat patients themselves, and often take control when a medical emergency is presented. A mix of clinical and managerial leadership skills are needed to excel in this role. Correctional nurses are a highly valued part of the corrections team. A demanding role, corrections nurses are the front-line response for patient/offender healthcare needs. With extensive training that spans triage and medical/surgical, as well as a holistic approach to treating the patient - but within the firm boundaries of the penal system, the correctional nurse is concerned for patient health as well as the overall safety and security of themselves, their fellow corrections employees, inmates and the general community. 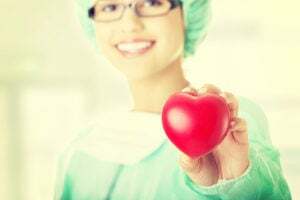 Cardiovascular operating room nurses work as part of the surgical services and operating room teams that treat open-heart (cardiovascular) patients. A specialized field within operating room nursing, CVOR nurses assist with patient care before, during and following surgical procedures, ensuring sterile conditions in the operating room and providing critical quality control to ensure patient safety during surgical procedures. Dermatology nurses provide care and treatment for patients with a variety of skin conditions and diseases such as psoriasis, skin cancer and acne. In addition to assisting with skin examinations, dermatology nurses also perform many cosmetic dermatology treatments such as chemical peels. In response to the increase in skin cancer in the United States, many dermatology nurses focus on early detection, treatment and patient education on how to prevent skin cancer. A wide and varied field, there is a wealth of career opportunities for dermatology nurses. Experts on developmental disabilities and delays, Developmental Nurses work with patients and their facilities to understand a patients' immediate and lifelong abilities, physical, cognitive, social and emotional traits that are associated with developmental disabilities and other special needs and assistive devices that may need to be accommodated for. Many Developmental Disability nurses are fierce advocates of patient rights and the Americans With Disabilities Act. Domestic violence nurses combine compassionate healthcare and forensic techniques to care for domestic abuse victims. These nurses examine domestic violence patients for physical, mental, and emotional wounds, and work with doctors and law enforcement officers to report injuries. Domestic violence nurses must be patient, empathetic, and observant, as many patients may be too traumatized to speak about their experiences readily. They must also keep meticulous records and collect evidence for use in court, and they may even be called to testify in domestic abuse cases. ER or ‘Emergency Room’ nurses are efficient, effective and calm. 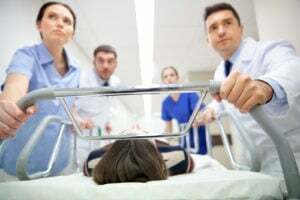 Their prescences and skills are both general – as the Emergency Room admits all kinds of patients with all kinds of trauma – and highly specialized to assess, triage and care for those who have been a victim of a sudden accident or illness. With a varied intake, which depends on the day and sometimes on the hour, the ER nurse is responsible for continuously prioritizing the needs of the patients in the emergency ward in order to ensure everyone remains stable as doctors move to treat, admit, or refer to ancillary care. A leader with a strong ethical sense and calm demeanor, ER nurses have equal parts strong stomach, efficient pace, and assertive personality. Enterostomy therapy nurses, often referred to as ET or stoma nurses, treat patients before, during, and after enterostomy procedures. Once a patient has an ostomy, ET nurses monitor the ostomy site and teach a patient and their family how to properly care for the ostomy to prevent infection and other complications. They also assist in cleaning and changing ostomy appliances and are a valuable resource in identifying problems, recommending supplies, and suggesting care techniques. Fertility or reproductive nurses treat and educate patients and couples on all areas involving fertility (i.e. fertility treatments, issues with conception, egg donation and IVF, and more). They can work in reproductive centers assisting physicians with fertility treatments and procedures, or they may focus on counseling and education. They may also assist researchers with the latest scientific advancements in reproductive technology. Flight nurses, also referred to as transport nurses, provide critical care to patients en route to a hospital or medical facility on board an aircraft, such as a helicopter or rescue flight. They assess patients, administer first aid, perform resuscitation or ventilation procedures, and monitor vital signs to keep patients stable until arrival. They also assist in getting patients into and out of the aircraft and ensure that they are secured safely once onboard. Upon arrival at the hospital, flight nurses update the onsite medical staff to ensure a smooth hand-off. Forensic nurses are specially trained to care for victims of trauma and abuse. In addition to treating these patients, they work alongside law enforcement to collect evidence, photograph injuries, and even testify in court if necessary. They can work in hospitals, usually in trauma or ER wards, or assist coroners and medical examiners. Gastroenterology (gastrointestinal, or GI) nurses treat patients with illnesses or disorders of the GI tract. This includes acid reflux, Crohn's disease, and cancers of the stomach, liver, pancreas, and more. Typical duties of a GI nurse include assisting with procedures like endoscopies, medication management, dietary education, and administration of conscious sedation. Genetics nurses care for patients who are at risk for, or are affected by, diseases or conditions with a genetic component. Working in a variety of healthcare settings from specialty genetics clinics and reproductive centers to hospitals and research institutions, genetics nurses assess and analyze a patient’s risk factors for genetic diseases and provide compassionate care and education to patients and their caregivers. 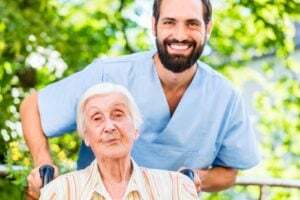 Geriatric nurses work with elderly patients in a variety of settings, including hospitals, nursing homes, skilled nursing facilities, home healthcare, and more. They help this demographic with things like maintaining functional mobility, medication management, bedside nursing and more. A holistic or complementary health nurse focuses on treating the patient as a whole rather than merely treating individual symptoms. 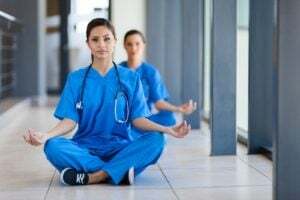 This certified RN takes a mind-body-spirit approach to the practice of professional nursing and may use techniques such as massage, acupuncture, or Eastern healing methods alongside traditional treatments. 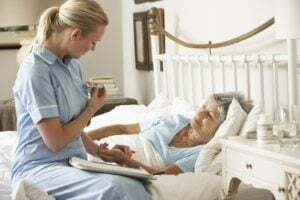 Home health nursing staff are responsible for caring for patients in their homes, performing various tasks if patients and/or their families are unable to care for themselves. This specialty is available to RNs, LVNs/LPNs, and nurse assistants. Tasks may include medication administration, taking vitals, wound care, assisting with mobility, and more. Hospice nurses care for patients who are at the end of their lives. This includes making them as comfortable as possible, managing their symptoms, maintaining their hygiene, and administering medications. They also provide important communication and support to family and other caregivers. Hospice nurses typically work in hospitals, private homes, nursing homes, or hospice centers. 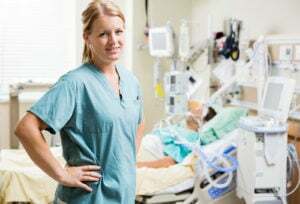 Intensive care nurses, sometimes called 'Critical Care' nurses or simply ICU nurses are a highly specialized and trained subsection of the nursing profession. 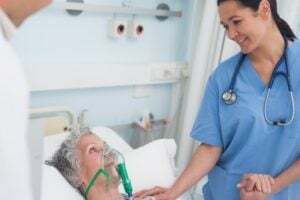 With a low patient to nurse ratio, the ICU nurse is responsible for the individual tasks and subtasks that are involved in caring for a patient in order to stabilize their condition. 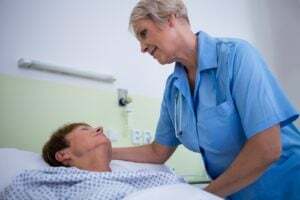 Frequently, intensive care nurses work with patients out of surgery, post-trauma, during complicated phases of disease, and those who are transitioning to end of life care measures. ICU nurses can choose to specialize by patient population or by affliction; common specializations include neo-natal ICU (NICU nurse), pediatric ICU (PICU nurse), surgical ICU or medical ICU to name but a few. Infection control nurses specialize in preventing the spread of infectious agents, such as viruses and bacteria. They work diligently to prevent and control infectious outbreaks in hospitals and other healthcare settings. They develop plans, educate and train staff, and implement infection control practices in order to bring the rate of infections down within a particular facility and prevent outbreaks. They may also act as leaders and coordinators if any outbreaks occur. Infusion nurses specialize in administering medications and fluids via an intravenous (IV) line, central line, or venous access port. 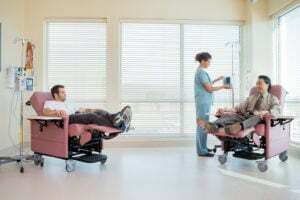 They insert these lines and assist with things like chemotherapy administration, blood transfusions, nutrition replacement/vitamin infusions, fluid/electrolyte infusions, and more. The Labor and Delivery (L&D) RN ensures the safety of both mother and baby during the childbirth process. They work with the interdisciplinary team to bring life safely into the world. The L&D nurse must think and act quickly while constantly assessing for emergencies and initiating appropriate interventions. This RN may assist with caesarean sections, initiate and monitor fetal heart rates, monitor and assist with epidurals, induce labor, and ultimately work to find the safest and most effective ways to healthy childbirth. The L&D RN works closely with the interdisciplinary team including obstetricians and anesthesiologists to provide mothers and newborns with the best possible outcomes. Legal nurse consultants are highly educated RNs who work as experts on cases involving medical issues. They can work in law offices, government agencies, hospitals, and insurance companies. Their duties may include reviewing and summarizing medical records, serving as expert witnesses, investigating patient claims, auditing medical bills, and more. 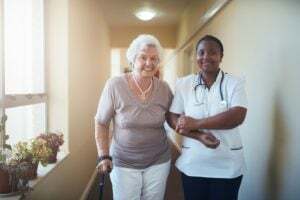 Long-term care nurses provide care for patients requiring extended care, including the elderly, patients with disabilities and those with chronic illnesses. 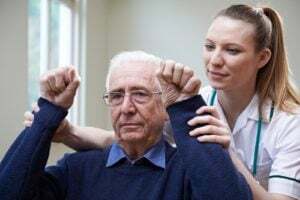 In addition to administering medication, conducting vital sign checks and performing therapeutic treatments, long-term care nurses assist their patients in daily activities such as feeding, dressing and bathing, as well as provide emotional support and education for patients and their loved ones. Managed care nurses evaluate the healthcare needs of patients and use specialized knowledge of the managed care system to connect them to quality, cost-effective healthcare providers. Often working with the elderly and low income individuals who rely on government funded healthcare assistance programs like Medicare and Medicaid, managed care nurses counsel patients on the importance of preventative healthcare and ensure patients receive the consistent care they need while keeping costs low for patients and insurance companies. 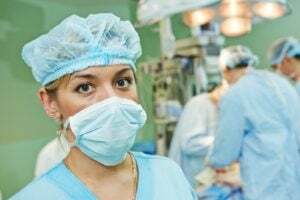 As the single largest population of nurses, Medical-Surgical nurses work mostly in caring for adult patients who have an acute condition or illness, or who are recovering from surgery. While Med-Surg nursing used to be viewed as an entry-level position for nurses looking to gain experience after graduation and licensure, perspective has shifted somewhat in that to be competent and effective requires mastery of so many different specialties that med-surg has become something of a specialty in itself. 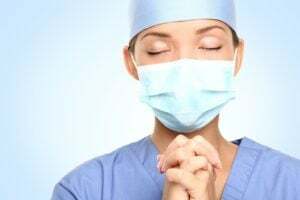 Still viewed as foundational, most nurses will find their practice greatly enhanced by a position on the med-surg ward, regardless of where their career path takes them afterward. Military nurses are RNs who serve in a branch of the military and are specially trained to provide medical care to patients in military clinics or hospitals, or in makeshift medical facilities near combat zones. They may care for soldiers or other military personnel, veterans, or service members' families. 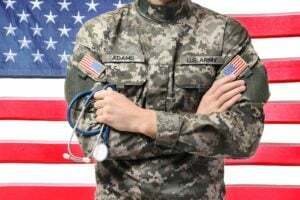 Military nurses are required to make at least a three-year commitment to serve their country, but in return can receive benefits such as housing stipends, student loan repayment, and pensions. 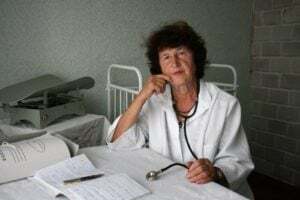 Missionary nurses work in underdeveloped and developing regions of the world, caring for patients who otherwise would not have access to modern medicine and basic healthcare. Often working with churches, non-profit organizations and humanitarian groups, missionary nurses treat common illnesses and injuries, administer vaccinations and medicines and educate patients about proper hygiene and how to prevent disease and infection, as well as share their spiritual beliefs with local communities. Nephrology nurses care for patients who have, or are at risk for, kidney problems including Chronic Kidney Disease, kidney transplants, and other diseases and issues. Nephrology nurses may perform dialysis, monitor patients, provide prevention information and education, help manage symptoms, and more. They typically work in hospitals, clinics, dialysis centers, and physicians' offices. Neuroscience nurses treat patients with nervous system diseases or disorders, such as epilepsy, strokes, multiple sclerosis, and more. 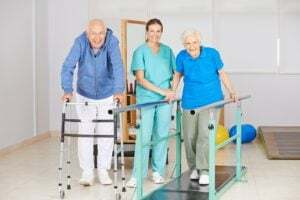 They help perform physical assessments and neurological exams, and assist with things like mobility, physical rehabilitation, and other tasks to help patients get back to activities of daily living. They also provide resources to patients and families and track the healing process. Neonatal Intensive Care Unit nurses, also known as NICU nurses, care for newborn infants who have a variety of medical ailments, including premature congenital disabilities, cardiac malformations, dangerous infections, and more. Aside from treating these newborns, they also train and educate families on how to care for the infant and communicate with them regarding the infant's treatment and progress. They primarily work in the NICU department of hospitals, although they can occasionally work in other settings. Nurse administrators are high-level nurses who oversee staff in hospitals or other medical environments. They set policies and procedures, hire and train new nurses, and develop and maintain department budgets. This role usually reports to the hospital CEO and is office-based rather than patient-facing. A nurse advocate works on behalf of patients to maintain quality of care and protect patients' rights. They help patients and families navigate the healthcare system and act as a liaison between patients, healthcare providers, and insurance companies. 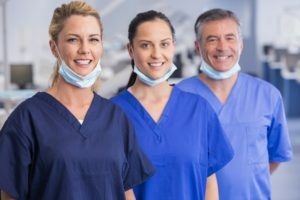 They play a big role in educating patients on healthcare decisions, resources, and insurance benefits and assist with any disputes a patient may have with their care. A nurse attorney is trained as both a registered nurse and an attorney. This means that both a nursing degree and law degree are required. 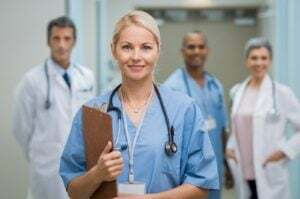 Nurse attorneys may work in either legal or medical settings doing things like reviewing medical records for insurance companies, working with risk management departments in hospitals to ensure that healthcare policies are followed, or lobbying for healthcare organizations. A nurse care coordinator is a nurse who specializes in organizing patient care and treatments by incorporating all members in the care team. They usually focus on patients with specific diagnoses such as diabetes, asthma, heart failure, etc. Nurse care coordinators are, in a sense, patient representatives, developing care plans to involve the entire interdisciplinary team. 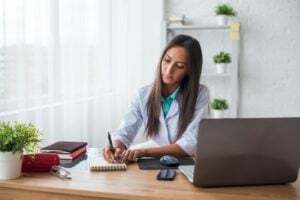 Nurse entrepreneurs use their professional nursing experience and business savvy to launch and run their own business ventures within the healthcare field. Requiring strong business skills, creativity and a lot of hard work, becoming a nurse entrepreneur offers nurses a unique opportunity to take control of their careers, set their own schedule and follow their passions in the nursing field. Nurse executives are highly educated RNs who also usually hold an advanced business degree. They manage and oversee the nursing staff in medical facilities, design and manage patient care, shape healthcare policies, create healthcare budgets, and more. Experience in both nursing and business is necessary to succeed in the role. They work in places such as hospitals, healthcare organizations, nursing schools, and other facilities. Nurse managers are responsible for supervising a nursing unit in a hospital or clinic. That includes direction of nursing staff, oversight of patient care and some management or budget decisions. In other words, instead of spending their day screening patients and checking vitals, they are establishing work schedules, coordinating meetings and making personnel decisions. Obstetrics (OB) nurses care for female patients before, during, and after pregnancy and childbirth. They assist an OB/GYN doctor with prenatal checkups, ultrasounds, screenings, and can also help with the childbirthing process. In addition to this, they also assist with other women's health issues such as birth control information, cancer screenings, and infertility. They most often work in OB/GYN physician offices, maternity wards in hospitals, or in birthing centers, though they can work in areas such as urgent care as well. Occupational health nurses help prevent and investigate workplace ailments and injuries. They promote safe and healthy workplaces, and look into instances of on-the-job injuries or unsafe procedures to protect a company and ensure worker health. They may help establish safety and security protocols for companies, tend to and document workplace injuries and illnesses, and/or perform drug and alcohol testing, amongst other tasks. Oncology nursing care is sometimes referred to as Hematology/Oncology or 'Heme/Onc' nursing. These nurses specialize in caring for individuals who have been diagnosed with a bloodborne cancer (like leukemia) or a solid cancer (like a tumor). 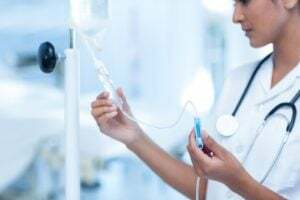 Oncology nurses are the first line of communication, care and education that patients learn to lean on as they undergo a scary and often challenging path to remission. Working with both adult and pediatric populations, the Oncology nurse helps patients and families track results and studies, inform about next steps, and manage symptoms throughout treatment. 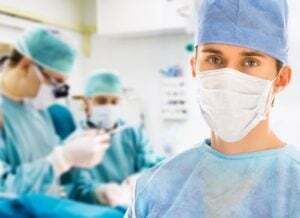 In every aspect of pre-surgery, intra-surgery and post-surgery, there's an OR nurse to help navigate the process; assisting the surgical team, providing care for the patient, and educating the patient's family. The OR nurse promotes the health and welfare of the patient under a variety of conditions. 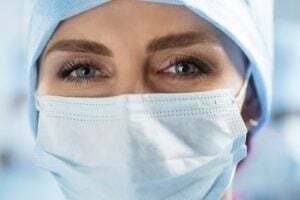 With the promotion of a supportive, care-focused and positive environment, the OR nurse is a valuable addition to many hospitals, doctor's offices and clinics. Ophthalmic nurses specialize in treating patients with various eye diseases and injuries. 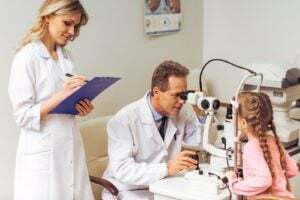 Working directly with ophthalmologists, ophthalmic nurses assist with eye exams, perform vision tests and administer medications, as well as educate patients on how to care for their eye disease or injury at home. They may also assist with various surgical procedures and care for patients prior to and following surgery. Organ procurement coordinators are registered nurses who oversee and assist in the process of organ transplant surgeries. They help prepare the deceased body for transplant, help to match a donor to a recipient, and coordinate with doctors and surgeons regarding transportation of the organ. Most coordinators are RNs who have a surgical background and complete the Certified Procurement Transplant Coordinator examination. Orthopaedic nurses deal with musculoskeletal issues including broken or fractured bones, arthritis, joint replacements, and more. They monitor patients before, during, and after orthopaedic surgeries and assist in casting and wound dressing. Orthopaedic nurses also help patients get on a pain management schedule and help administer pain medications. Most orthopaedic nurses are RNs with a BSN who have passed the Orthopaedic Nurses Certification exam. Otorhinolaryngology nurses specialize in treating patients with various diseases and injuries of the ear, nose, throat, head and neck. Also known as ENT nurses, otorhinolaryngology nurses assist with patient exams, collect samples, administer medications and record symptoms and medical histories. They may also assist with various surgical procedures and care for patients prior to and following surgery. Pain management nurses are RNs who help to provide pain relief to patients experiencing chronic pain due to illness or injury. They employ a wide variety of techniques in order to achieve this, including medications, stress relief techniques, exercise/diet changes, and more. 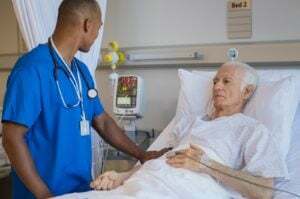 They must constantly assess and reassess patients to make sure they are comfortable and cared for without doing harm to them by over-medicating, etc. Pain management nurses may work in hospitals, clinics, rehabilitation facilities, sports medicine centers, and other places where patients may be seeking pain relief. Palliative care nurses provide compassionate nursing care to patients with chronic or terminal illnesses. They help patients with pain and symptom management to ensure that they carry out their final days in comfort. 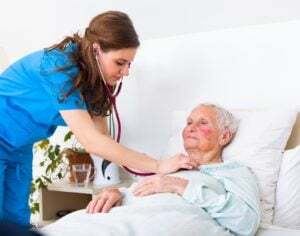 These nurses work in hospitals, nursing homes, assisted living facilities, and private homes, or wherever a patient requires this type of care. They also often provide emotional support to the patient and their friends/family. Parish nurses, also known as faith community nurses, are RNs who serve a parish or other faith community, integrating faith and healing to promote health and wellness. Aside from the necessary medical training, parish nurses must also have a strong foundation in and knowledge of their particular faith. Parish nurses may be responsible for tasks such as providing spiritual support to patients, mentoring volunteers or other members of their parish, educating patients on the importance of faith in relation to health and wellness, and starting up support groups. They can work in churches, hospitals, social services agencies, and more. Pediatric endocrinology nurses treat children with endocrine disorders, such as juvenile diabetes, pituitary problems, and adrenal diseases. 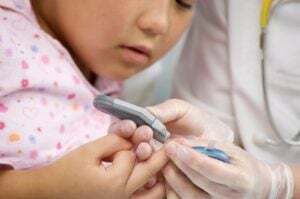 They work alongside pediatricians to test and monitor children with these disorders, and educate patients and parents on treatments and prevention methods, which may include lifestyle changes. Pediatric endocrinology nurses typically work in hospitals and pediatricians' or physicians' offices. 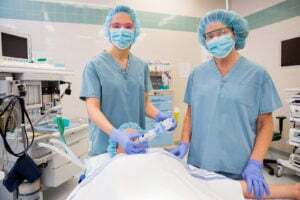 Perianesthesia nurses prep patients for surgery, but their main duty is to care for patients coming off of anesthesia or sedation following a surgical procedure. They help to orient the patient, check vitals including blood pressure and respiration rate, and make sure the patient isn't suffering from any side effects or adverse reactions from the anesthesia. These nurses most commonly work in hospitals, in Post-Anesthesia Care Units (PACUs). Perinatal nurses care for women before, during, and after pregnancy, and help both mother and baby for the first few weeks of the newborn's life. They educate patients and families on things like childbirth options, umbilical cord care, and more. Additionally, they screen and assess patients for high-risk pregnancies and perform a multitude of routine pregnancy tests. They may work alongside a physician or nurse midwife during labor as well. Plastic surgery nurses care for patients undergoing cosmetic or aesthetic procedures. This includes things like breast augmentation, face/neck lifts, liposuction, reconstructions after trauma, and more. These nurses screen patients for surgery and care for them before, during, and after the procedure. RNs in this field must be supportive and non-judgmental as many plastic surgeries deal with enhancing body self-image. Postpartum nurses provide physical and emotional care for mothers and newborn babies following a delivery. They work in hospitals and birthing centers and often work alongside lactation consultants and labor and delivery nurses to ensure that a new mother recovers from the birth properly and is educated on caring for an infant. They also provide important pain management and postpartum monitoring for the new mother. Psychiatric nurses care for patients who suffer from mental health illnesses as well as those struggling with addiction and substance abuse problems. They assess and monitor patients, work with an interdisciplinary team including psychiatrists and social workers, and help administer medications. 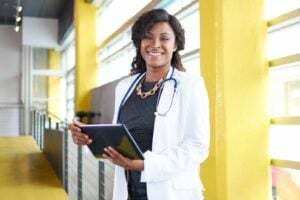 Psychiatric nurses work in hospitals, medical offices, mental health facilities, schools, correctional facilities, and in community settings where mental healthcare is needed. Public health nurses serve a community, promoting health and wellness and providing medical services. A large part of their job is working with underserved and underprivileged populations, providing education and resources. Public health nurses can work in local government, such as county or city health departments, or private public-health agencies. 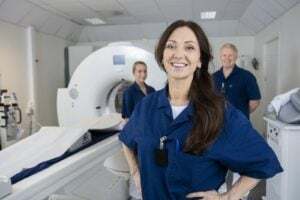 Radiology nurses care for patients who must undergo diagnostic imaging procedures (such as x-rays, CT scans, and MRIs), or for those undergoing radiation therapy for certain illnesses, including cancer. These nurses educate the patients on the need for the procedure, prepare the patients on the day of the procedure, operate the machines, administer any contrast dyes, and monitor the patient after the procedure. They typically work in hospitals, diagnostic imaging facilities, or outpatient care facilities. Rehabilitation nurses assist patients with disabilities, injuries, or chronic illnesses with any personal limitations that may have arisen because of them. Their primary goal is to help patients regain independence and functionality to the best of their ability. They can work in outpatient or inpatient settings and may work with patients on an on-going basis. 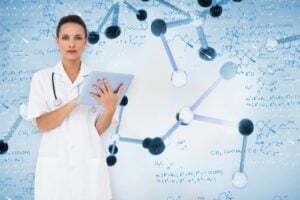 Research nurses design and implement scientific studies within the healthcare field, analyze data and report their findings to other nurses, doctors and medical researchers with the ultimate goal of improving healthcare services and patient outcomes. 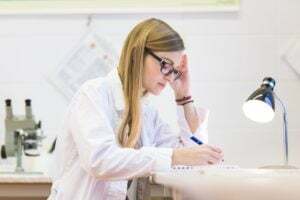 A challenging career path that requires an advanced nursing education and specialized training in research methodology, nurse researchers make discoveries that have the potential to save lives and change the healthcare industry. Respiratory nurses, also referred to as pulmonary care nurses, treat patients with a variety of respiratory illnesses, including asthma, emphysema, lung cancer, bronchitis, and more. They help develop treatment plans for their patients, which sometimes includes the use of mechanical devices to help aid breathing. Aside from caring for these patients, they also provide education on things like smoking cessation and healthy habits. Rheumatology nurses care for patients with a variety of rheumatic diseases that affect the joints and muscles, including rheumatoid arthritis, fibromyalgia, lupus, and more. These nurses help patients with pain relief and symptom management. Many patients with rheumatic diseases require on-going care and can form long-lasting relationships with rheumatology nurses. School nurses attend to the physical and mental health of children on a school campus. They treat and assess illnesses and injuries, and alert parents and emergency services when a health issue is severe. 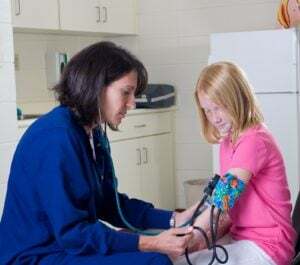 School nurses provide health education to students and work with teachers, parents, and administrators to promote health in the school system. They work in a variety of educational institutions and may travel between schools in a district. Substance abuse nurses care for patients addicted to drugs, alcohol and other substances. Trained in mental health care in addition to general nursing, substance abuse nurses provide pain management services, education and emotional support for patients and their families who are struggling with addiction. A nursing position that requires a high level of compassion, substance abuse nurses have the opportunity to provide a lifeline for patients in crisis. Telemetry nurses care for patients with heart problems who have moved out of the ICU. They specialize in monitoring the readings of electrocardiogram, or EKG, machines and alerting the doctor to any dangerous changes. They also monitor other vital signs including blood pressure and breathing patterns and may assist the doctor with diagnoses, treatments, or procedures. Telemetry nurses also educate patients on cardiac health and may recommend lifestyle or diet changes to promote a healthy heart. Telephone triage nurses, also known as telehealth nurses and TTNs, provide care to patients over the phone or via video chat. They are crucial healthcare resources for those who may live far away from a medical facility or need help and advice after-hours. 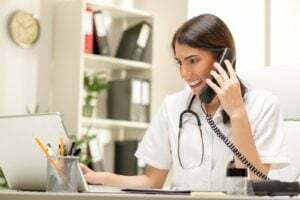 Telephone triage nurses help to assess the patient's medical issue and refer them to the proper line of care, whether that's home care, a physician's or specialist's office, or the emergency room. Transcultural nurses help treat foreign patients with a primary focus on care that is culturally sensitive and inclusive. They communicate with these patients and act as a bridge between the patient's culture and healthcare practices. 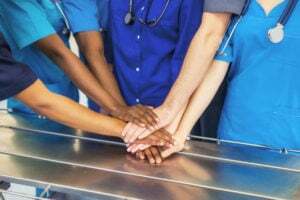 Transcultural nurses must be highly familiar with a variety of cultures and their corresponding values in order to deliver compassionate medical care. Transplant nurses care for patients who are in need of organ or tissue transplant surgeries, as well as living donors who have volunteered to donate tissues or organs. They prepare patients for surgery, assist surgeons during harvest and donation procedures and provide patient education and crucial post-operative care, including monitoring for complications such as infection or organ rejection. 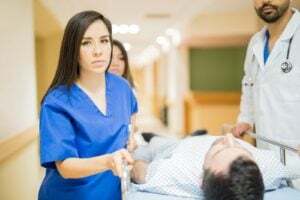 Trauma nurses specialize in caring for patients with acute injuries or illnesses, including accidents, assaults, gunshot or stab wounds, and more. They typically work in emergency environments and are charged with stabilizing patients. They also document a patient's care and may work with any law enforcement officers involved. Travel nurses are RNs from various clinical backgrounds who work for independent staffing agencies. They are assigned to different care areas on a temporary basis to fill in short-term employment gaps. This type of nurse may work domestically or internationally, filling in where the need arises. 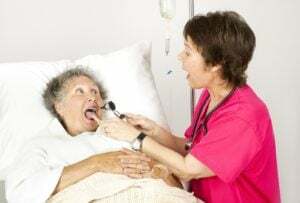 They perform standard registered nursing tasks, but may need to adapt to certain challenges such as language differences or particular local illness/disease outbreaks. Wound care (WOC) nurses treat patients with ostomies and serious wounds. This includes wound debridement, cleaning, and bandaging, amongst other things. Wound care nurses also help doctors assess whether further treatment such as antibiotics or surgery is necessary. 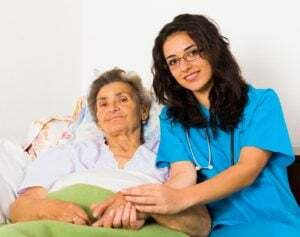 This type of nurse also helps care for bedridden patients who have bedsores, people suffering from complications of diabetes, and may work in a hospital, nursing home, or other long-term care setting.